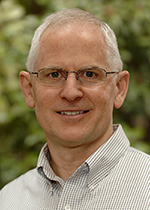 Congratulations to Dr. Richard H. Moss, a scientist working at Pacific Northwest National Laboratory's Joint Global Change Research Institute (JGCRI), who was recently appointed a National Associate of the National Research Council, the operating arm of the National Academies of Sciences, Engineering and Medicine. The National Academies reserve the associate designation for those with extraordinary service in performing pro bono publico for the NRC. Out of the thousands of dedicated and eminent individuals, Moss is one of a small number chosen for this distinct honor in 2016. Moss has served on NRC Boards and Committees focused on diverse topics from Earth observations to the "human dimensions" of global change. Since 2009, he has chaired the NRC's Board on Environmental Change and Society, which advances and integrates social and natural science on global change. Moss also serves on the NRC Committee to Advise the US Global Change Research Program. He has helped lead or participated in preparation of a number of NRC reports, including a recently released review of the USGCRP draft strategic plan and the "Advancing Science" report of the America's Climate Choices Committee. He has helped organize and lead NRC workshops and seminars on topics such as risk framing in the US National Climate Assessment, integrating Earth system and socioeconomic observations, and integrated modeling and research in the behavioral and social sciences related to the recent Paris climate accords. Moss has served in other capacities as well, for example as BECS liaison to the Board on Atmospheric Sciences and Climate. A decision-support scientist working at JGCRI, a partnership between PNNL and the University of Maryland, Moss's research focuses on development and use of scenarios; vulnerability, adaptation and resilience to global environmental change; and decision support science-data-driven analysis of use of science in applications. Moss has authored and edited scores of reports, assessments and research papers on the intersections of climate and environmental phenomena. He has served in numerous public service capacities for the Intergovernmental Panel on Climate Change (IPCC) and the U.S. National Climate Assessment in addition to six years as Director of the Office of the U.S. Global Change Research Program/Climate Change Science Program. He was recently appointed to NOAA's Science Advisory Board. Moss is a Fellow of the American Association for the Advancement of Science and the Aldo Leopold Leadership Program, and received the Department of Energy's Distinguished Associate award. He holds a Ph.D. from Princeton University in public and international affairs.